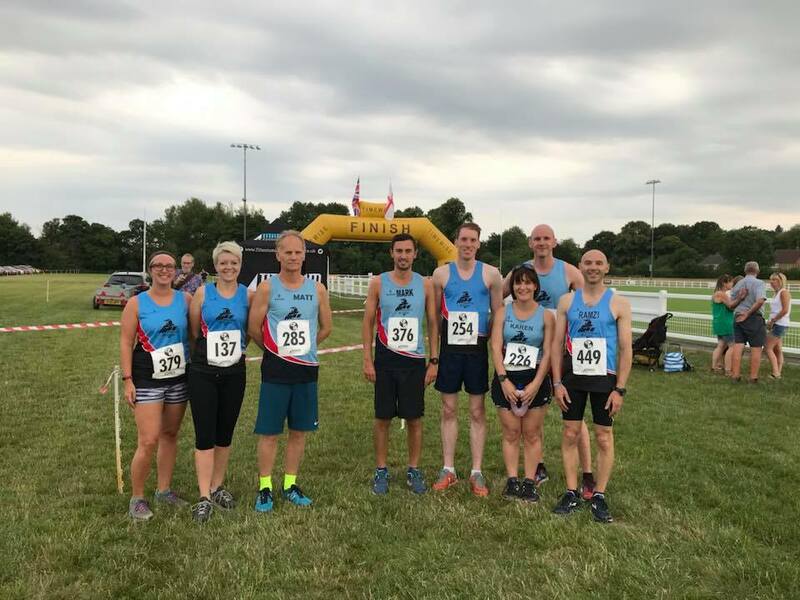 Ramzi Sidani led 10 runners around the Colin Potter memorial 10k at Darley park on a warm Friday evening with a speedy 38:29. Alistair Chambers was the next runner over the line with 40:45, followed by Mark Parker 2 minutes later in 42:48. Andrew Stanley finished next in 44:18, then Patrick Horn in 45:13. James Hubitt (47:38) and Matthew Joyce (49:13) finished in sub 50 minutes. Karen Hartland had a good run to clock 54:09, followed by Emily Partridge in 59:04 and Amy Derbyshire in 59:50, rounding off all runners in under an hour. Ian Kirk clocked up some miles this week, firstly at the July the Turd marathon on July the 3rd! This involved 3 laps around Ironbridge then over the bridge itself, happy to clock 4:24:24. On July 7th he ran the Enigma need for speed Marathon at Milton Keynes, wanting to be back for England's match in the afternoon he clocked a swift 4:13! Jessica Taylor Southwart was the sole representative for Ivanhoe at the Whissendine 6ix. In her debut 6 miler for the club she did well to finish in 58:10. Mandy Morris ran at the Notfast 10k in Kelham as part of her 20 events in 12 months LOROS challenge in 1:06:26. Andy and Sally Jeyes were out racing in Tipperary, Ireland on Wednesday, and both won their age categories at the Coillte 10k, with Andy's time of 44:06 and Sally's time 56:47. They followed this up with Clonmel Parkrun on the Saturday, both scooping Age group records with Andy's 22:00 and Sally's 27:28. At the Ashbourne half marathon, Patrick Horn and Matt Joyce ran the very Hilly but scenic course in temperatures up to 30 degrees, both were pleased to finish in under 2 hours with Horn in 1:48:58 and Matt in 1:56:20.